Today I'm popping in to share with you the latest Felicity Jane Kit...and it's called 'Jane'! Isn't it beautiful?! I can't wait to start creating with this kit and will be sharing some projects very soon. 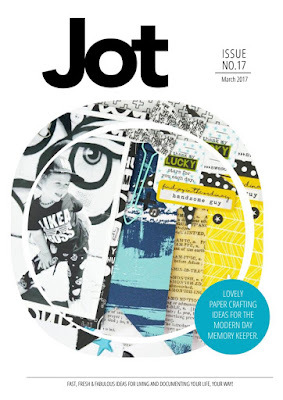 Jot Issue 17 is here!!! Jot Issue 17 is out right now! I love the fresh new look with this awesome cover!!! 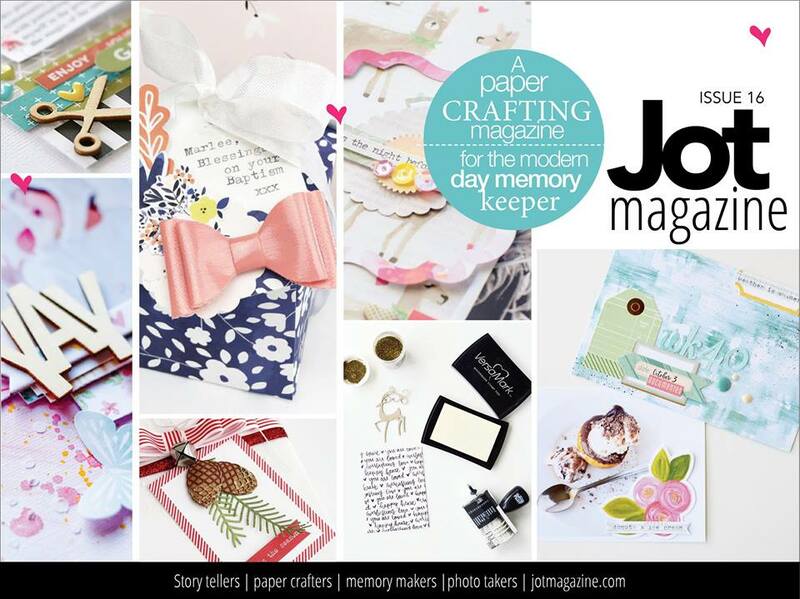 As always it's packed full of inspiration so grab a cuppa and get your free copy right HERE over on the Jot website. I'm back again today to share another layout I've created using the Felicity Jane London Kit. 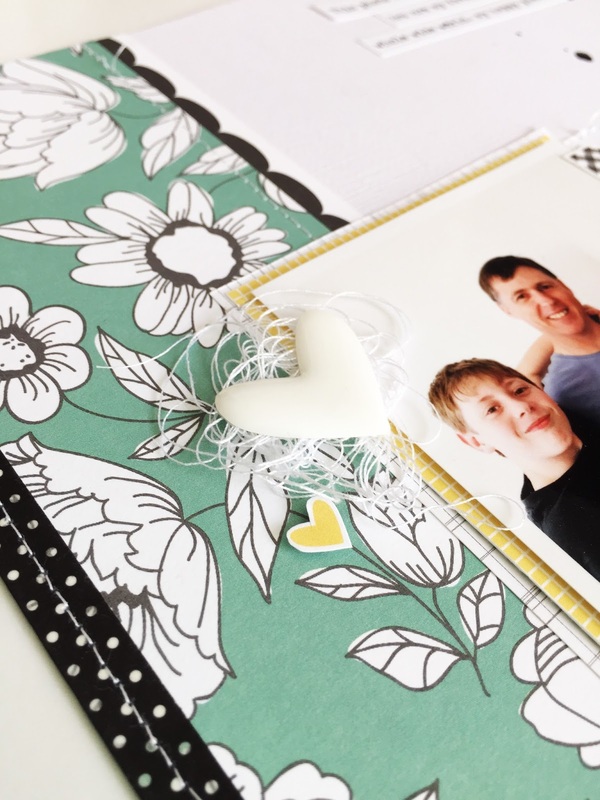 My page started off with the gorgeous green floral patterned paper. Isn't it pretty? I then added the black scallop branding strip and the polka dot washi tape down each side of the page. After adding some stitching I added some black watercolor paint splatters, then mounted my photo onto some layers of more patterned papers from the kit. 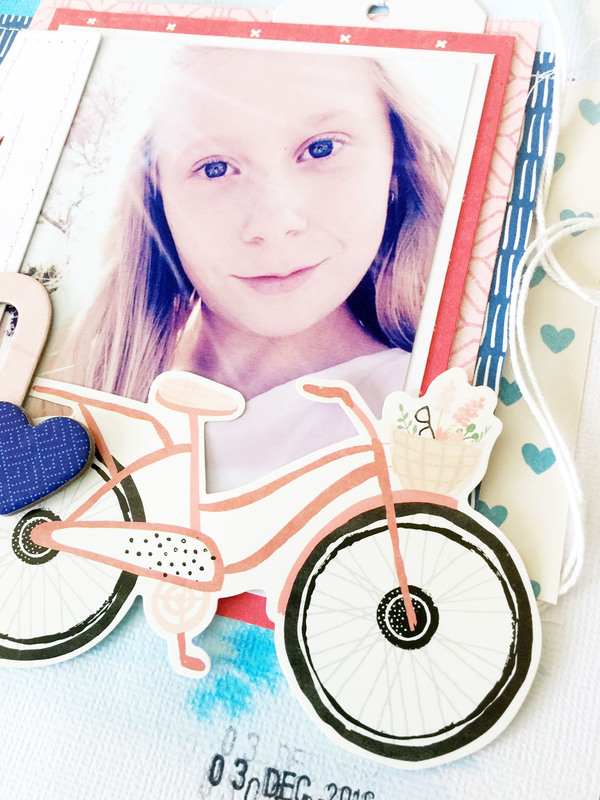 I added one of the enamel hearts with some messy thread and little yellow heart which I cut from another patterned paper branding strip. 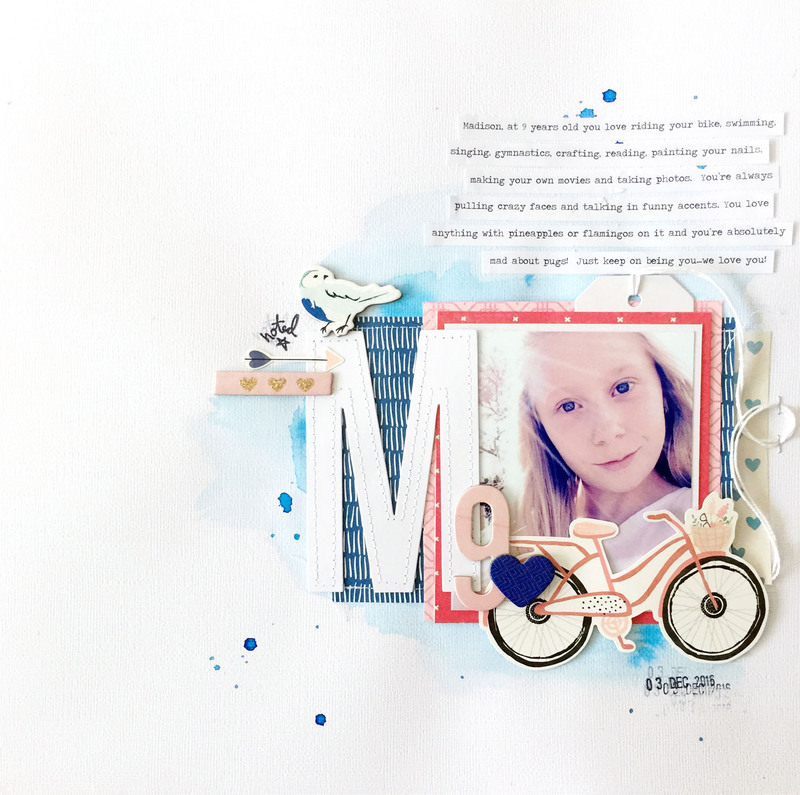 I love the 'my whole world' stamp from the stamp set and it was perfect for this page! 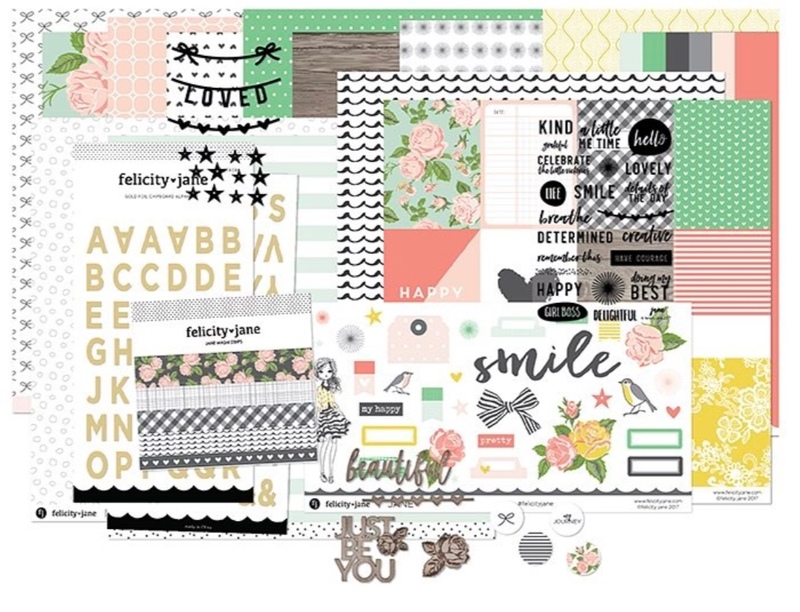 The 'happy' stamp was added to a black gingham tab to the right of my photo, and I also used another Felicity Jane stamp set to add the 'what matters most'. The chipboard alphas were used for my main title and I cut some more little hearts to decorate. 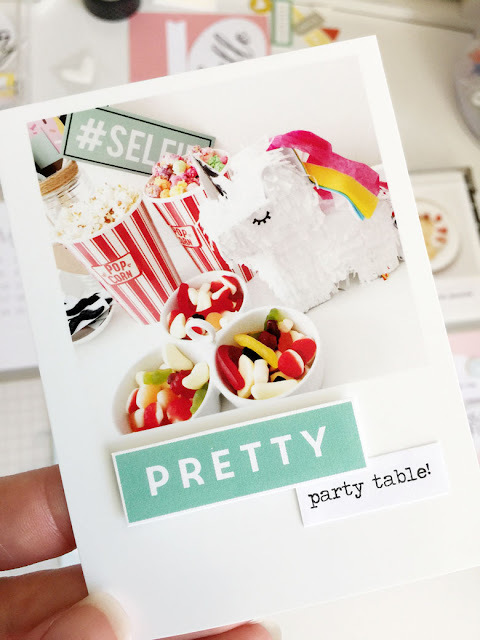 If you'd like to see another page I've created with the London Kit you can find it HERE on the Felicity Jane blog. There are more close-up photos for you to see and while you're there you can check out what the rest of the creative team have been up to as well! I've had so much fun with this kit and I've got so much left to play with too for more projects! 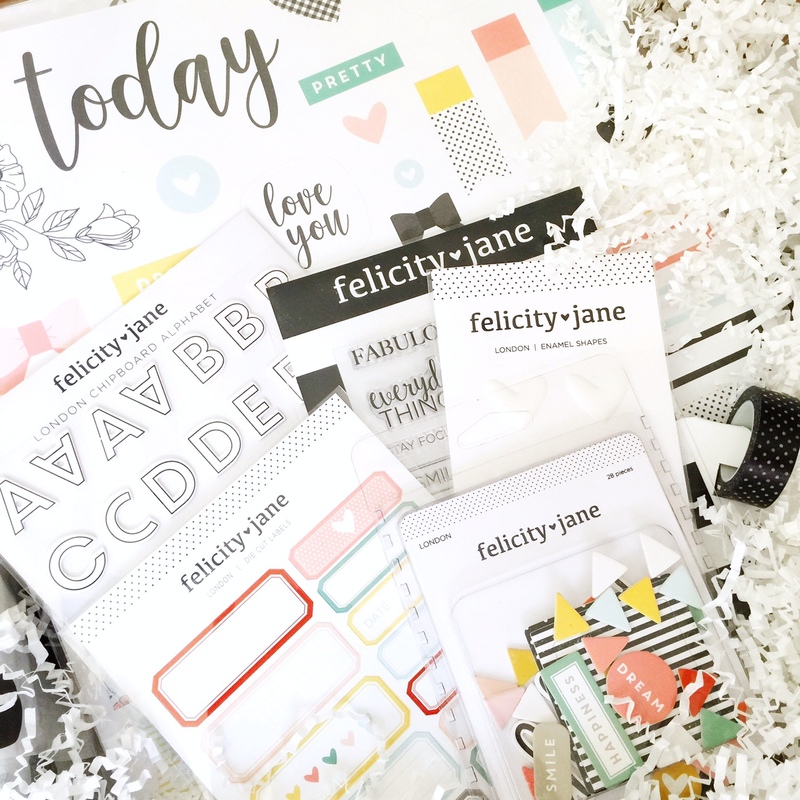 I was absolutely thrilled to join the Felicity Jane Creative Team at the beginning of February! 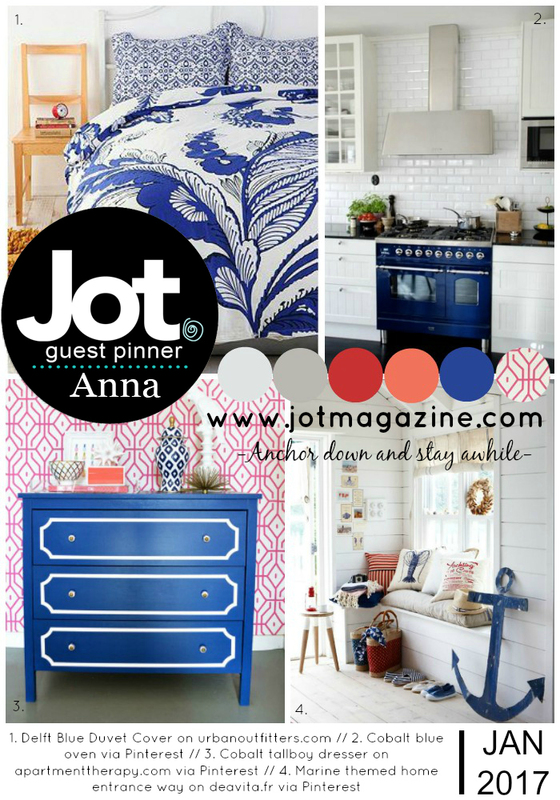 Such an exciting opportunity! The February calendar card in my spread is from Elle's Studio but everything else is from the Felicity Jane London Kit. 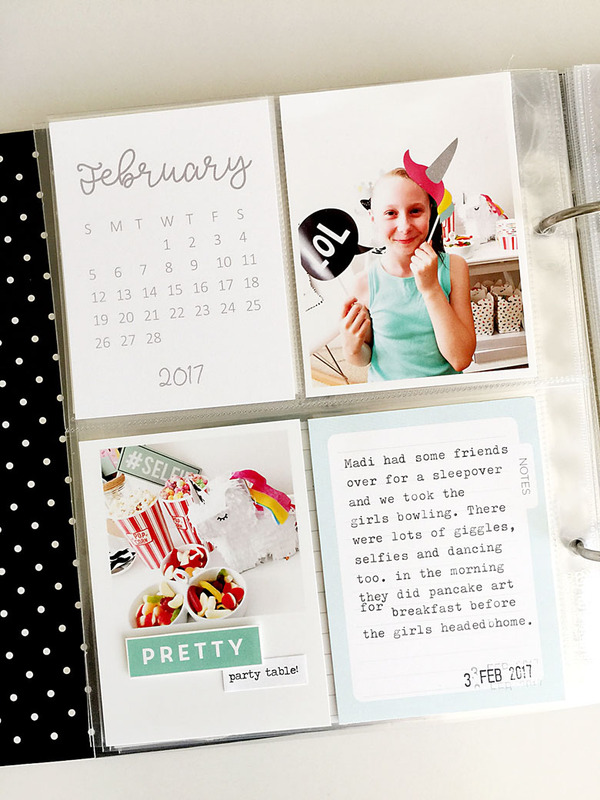 I've used my typewriter to add my text to the light blue journaling card from the cut-apart sheet then stamped the date at the bottom. The 'pretty' sticker is from the 12 x 12 cut-apart sheet and is such a pretty colour! I then printed the other words using my computer and a typewriter font. 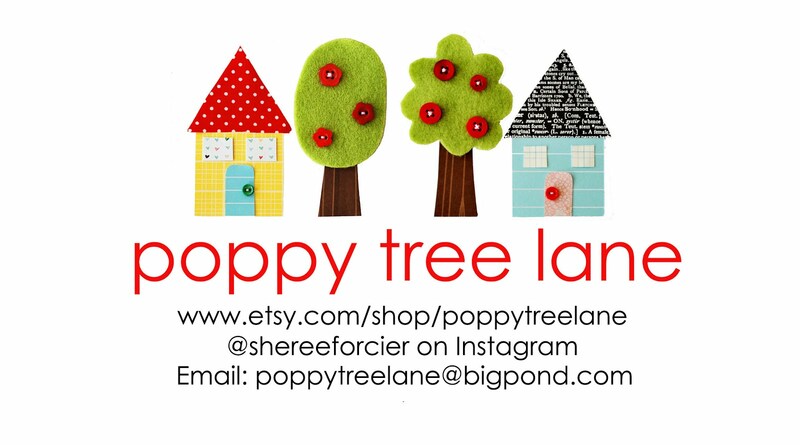 I added a black heart circle with some messy thread to the green stripey card and cut out the 'play', 'laugh', 'dance' and 'sing' words from one of the patterned paper branding strips. 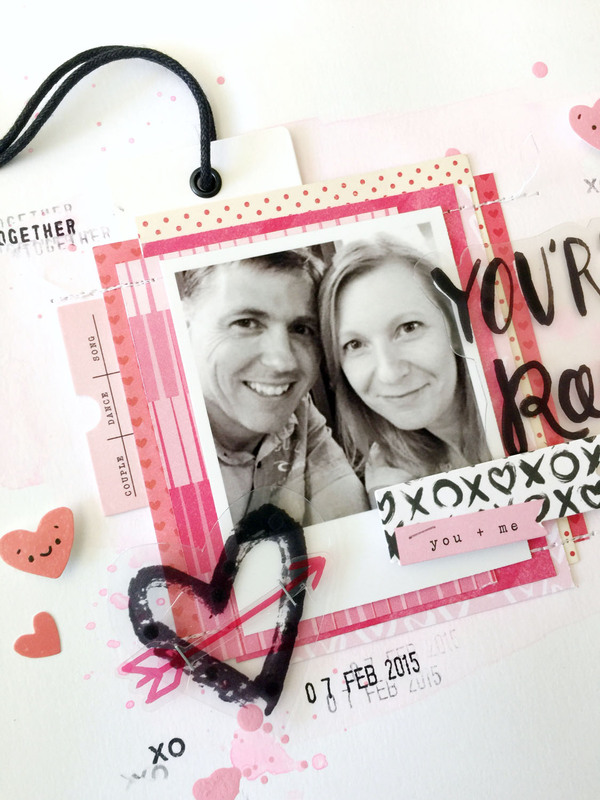 For this pink journaling card I printed some text strips using my computer, added a little blue heart from the cut-apart sheet, then I used the London stamps to stamp 'that was FUN!' 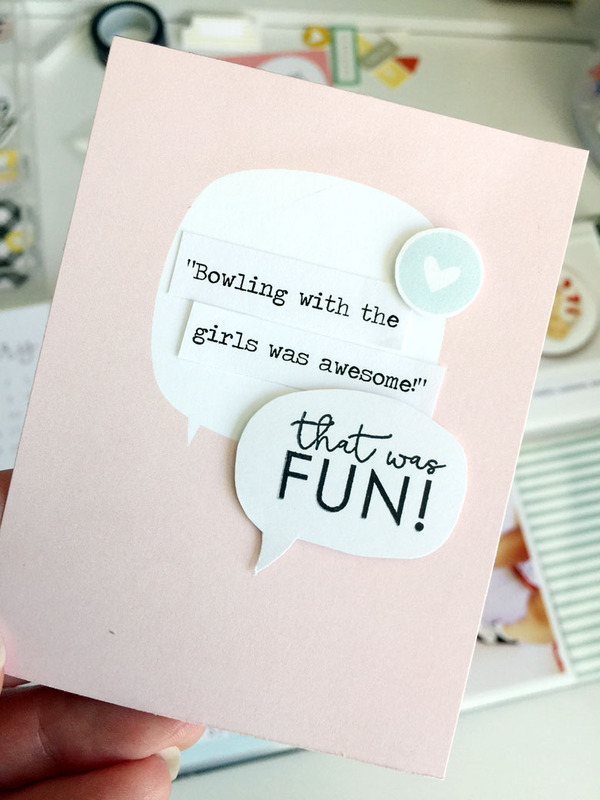 into a little speech bubble that I cut by hand from white cardstock. 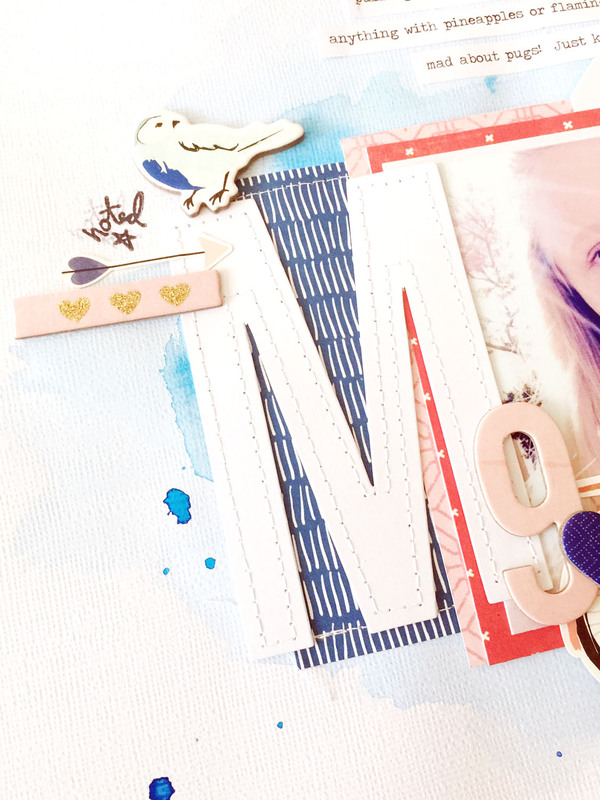 I've been creating more projects using the kit and will be back to share them soon! If you'd like to check out the London Kit and grab one for yourself, or even just some of the products, you can find them in the shop HERE. 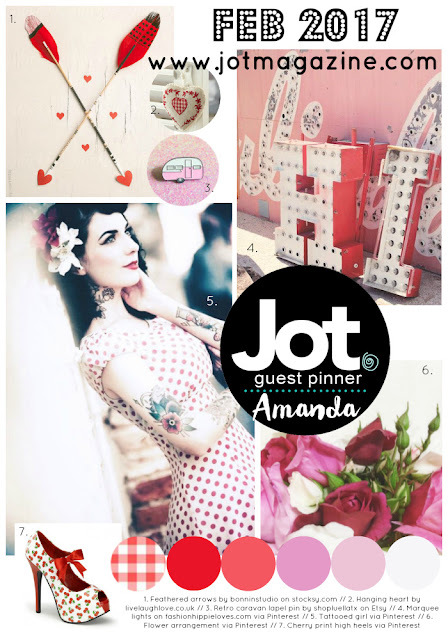 The February Mood Board over at Jot this month is well and truly underway. Have you seen it yet? How gorgeous! 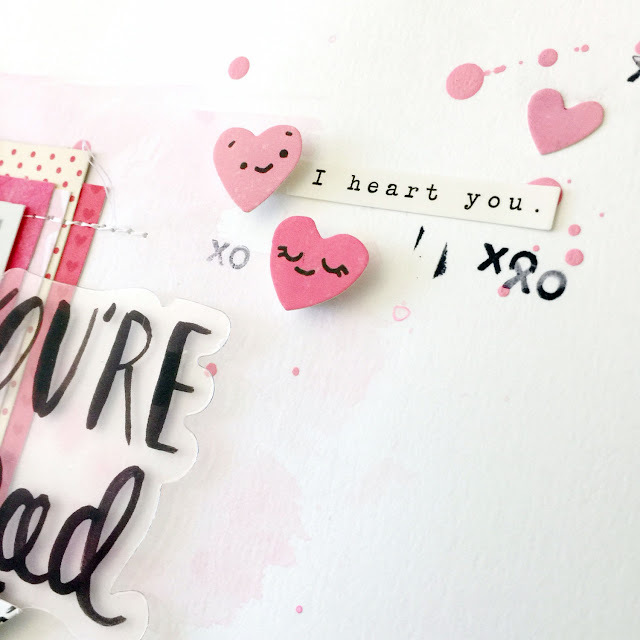 Jot Girl Amanda has put this one together for us and I'm loving all the pretty pinks, the arrows, the polka dots...and the hearts! 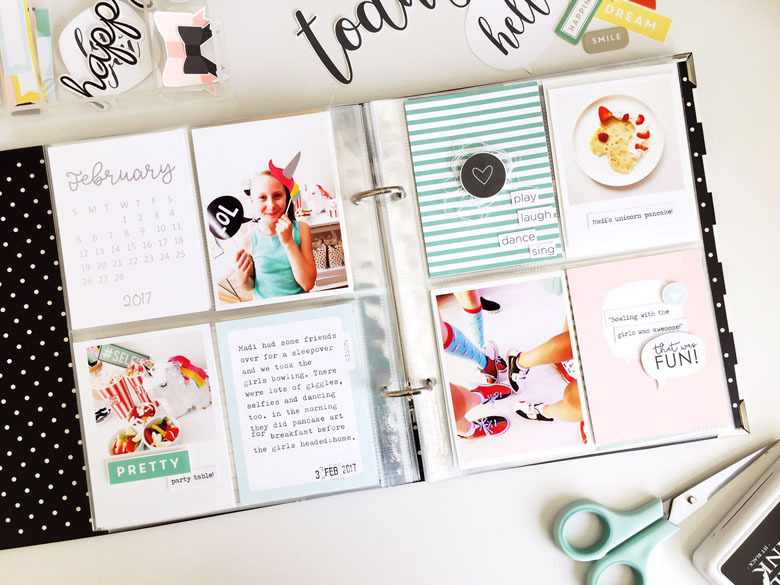 Details of the board can be found over HERE on the Jot website along with other beautiful Jot Girl sample pages for you to see. 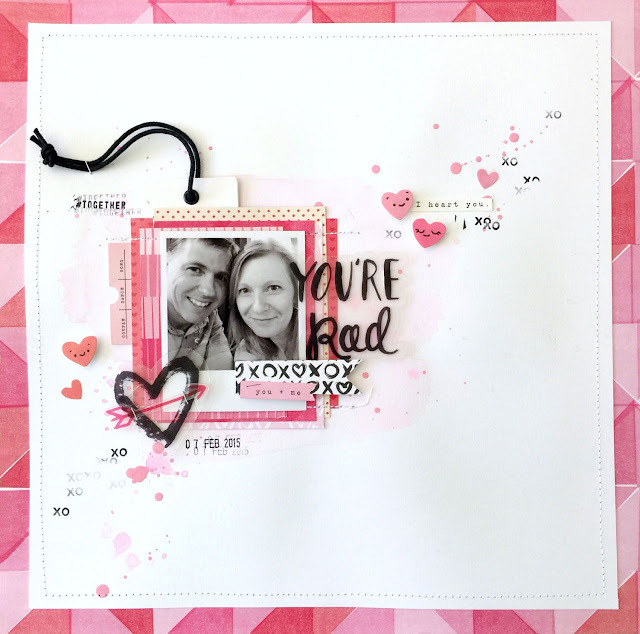 and I added a touch of geometric patterned paper too to reflect the wallpaper in the board too. 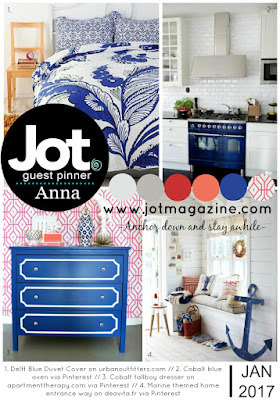 If you'd like to join in the challenge just click HERE to read how and to see more gorgeous projects by the other Jot Girls. We always love seeing what you create!!! 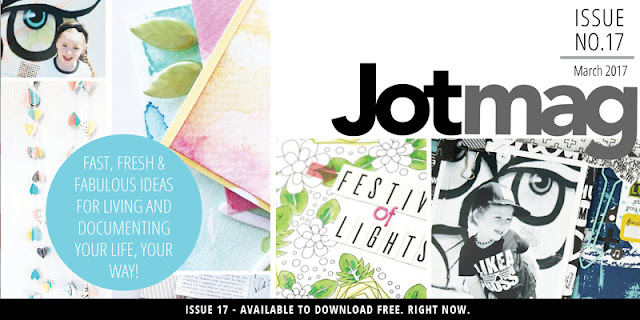 Jot Issue 16 is here! 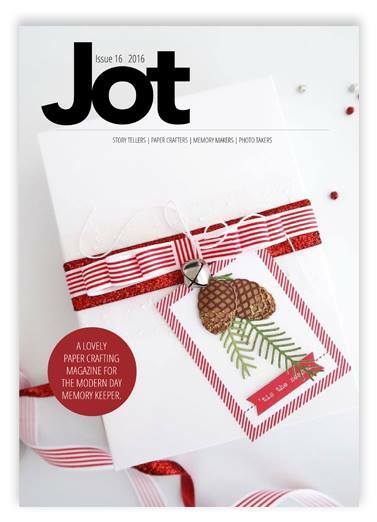 The latest issue of Jot is out now...and I'm SO excited to see my Christmas gift box and tag on the cover!!!!! YAY!!! So grab a cuppa and a comfy chair and read this latest issue right now for FREE over at jotmagazine.com. Just click HERE!